The National Buildings Construction Corporation (India) informed the Supreme Court that the pending projects of real estate developer Amrapali could be completed within 36 months. The National Buildings Construction Corporation Ltd informed Supreme Court that the pending 15 housing projects of private realtor Amrapali Group could be accomplished within 36 months at a cost of Rs 8,500 crore. The NBCC told the court earlier that it would undertake the completion of these projects and placed a proposal for completing the projects. In the proposal, NBCC cleared that it is a tentative estimation that the 15 projects would be completed within the period of 36 months. NBCC stated that the proposal was based on the information and documents provided by Amrapali Group, New Okhla Industrial Development Authority (NOIDA) and Greater Noida Industrial Development Authority (GNIDA). 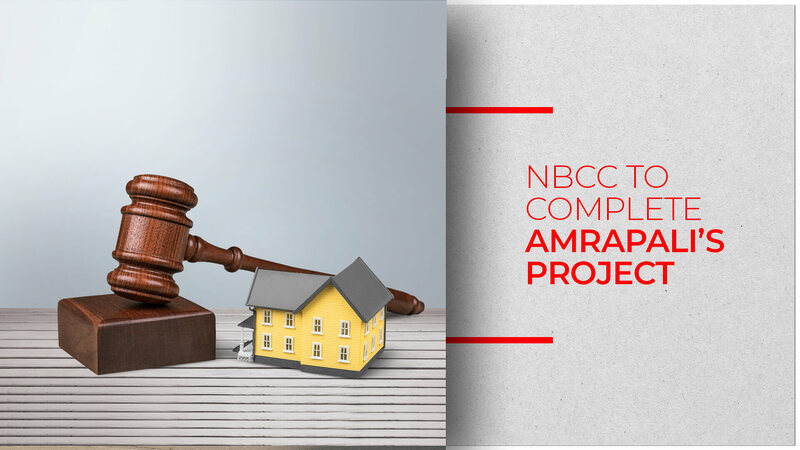 In order to help NBCC start the construction of these projects, it stated that the court can direct Amrapali Group to deposit Rs 250 crore into an escrow account within a month of approval of the proposal. The bench asked Amrapali to file a response for the proposal given by NBCC and the next hearing would be on September 6th. Anoop Kumar Mittal, NBCC Chairman cleared that the organization would not be able to start the work without the proper funds. The bench ensured NBCC that the required funds would be provided so that the completion work for the projects can commence. As per the proposal, NBCC stated that according to information given by Amrapali Group; the pending cost of construction for completion of the said projects that included 46,575 units would be approximately Rs 5,220 crore. It also said that there were 11,403 flats in the Category A for which the work would be completed within 6-12 months. Under the Category B, there were 32,284 and 2,788 units under Category C, which would be completed in 36 months. NBCC suggested various options that could be considered by the court for providing the necessary funds for completing the projects. As per information from Amrapali Group, the existing 41,690 home buyers would be required to pay Rs 3,853 crore at different stages of the project completion as per the flat buyer agreement. It also said that the 4,885 units of the launched projects that are presently not sold would be sold to generate approximately Rs 2,609 crore. Mentioning the balance amount for completing the construction of the projects, NBCC said that there was unused floor space index (FSI) of approximately 144 lakh square feet saleable area, the sale of which would raise up to Rs 2,100 crore. However, this estimate is subject to changes owing to a detailed study of the projects with the bidding process according to tenders for the works and preparation of Detailed Project Planning (DPR). NBCC requested the court to create a committee comprising of a retired judge of Allahabad or Delhi High Court, a technocrat, a bureaucrat and others to bring transparency and accountability in the completion of the projects, utilization of funds and protect the interest of home buyers. The court ordered Amrapali to attach all bank accounts and movable properties of 40 firms of the group. The bench said, “As per preliminary studies, site visits and inputs received from Amrapali and the working undertaken by NBCC, the estimated construction cost to complete the ongoing project for Category A, B and C would be Rs 8,500 crore against Rs 5,220 crore estimated by Amrapali”.